Over the last few years, Barry has established himself as an extremely accomplished comic performer, writer and actor. As well as performing stand up on the UK and International comedy circuits, he has devised, appeared on and written for numerous television projects. 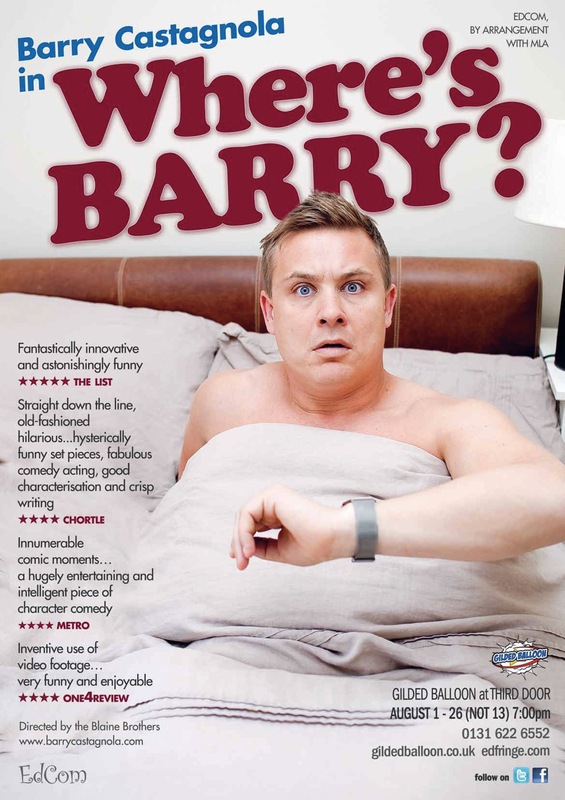 Most recently, Barry has created and performed a variety of comedy characters for new television shows – The Secret Interview (TwoFour Productions – which will be broadcast later in the year), Do The Right Thing (an Objective Productions pilot for Channel 4) and Dom Joly’s new primetime ITV show, Fool Britannia. He was also the creator and one third of the award-winning spoof eco-warrior group Cyderdelic who, as well as two hit Edinburgh shows and regular appearances on The 11 O’Clock show, had their own BBC3 series. This year, Barry’s new Edinburgh Fringe show ‘Where’s Barry?’ mixes character-comedy, multi-media, stand-up, satire and farce. Barry is late for his show on an important night where he has his agent, press and TV people in. Projected on a screen are his attempts to get to the the venue while a succession of characters including Figsy – an aspiring musician, Donny Donkins – a stand up performing in the same venue, Maxwell Ford – his uncompromising agent, and members of the Camford Players – an Oxbridge revue, fill in until he gets there.